I have something for you. When Quinn Cruz receives that cryptic text message from her older sister Nora, she doesn't think much of it. They haven't seen each other in nearly a year and thanks to Nora's fierce aloofness, their relationship consists mostly of infrequent phone calls and an occasional email or text. But when a haunted Nora shows up at the lake near Quinn's house just hours later, a chain reaction is set into motion that will change both of their lives forever. Nora's "something" is more shocking than Quinn could have ever imagined: a little girl, cowering, wide-eyed, and tight-lipped. Nora hands her over to Quinn with instructions to keep her safe, and not to utter a word about the child to anyone, especially not their buttoned-up mother who seems determined to pretend everything is perfect. 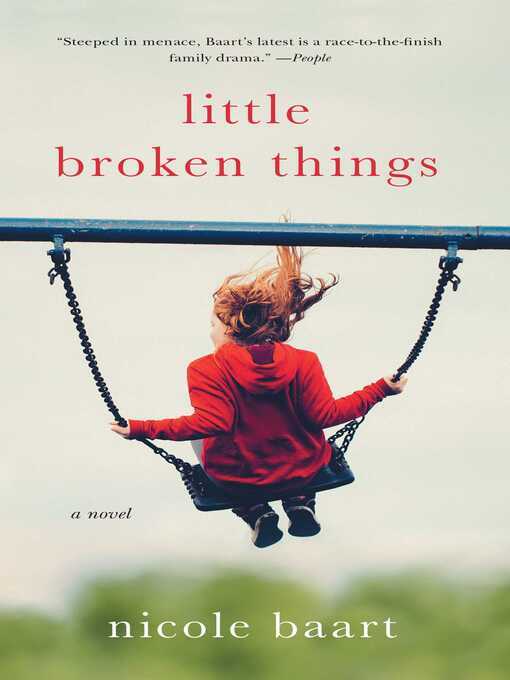 But before Quinn can ask even one of the million questions swirling around her head, Nora disappears, and Quinn finds herself the unlikely caretaker of a girl introduced simply as Lucy. While Quinn struggles to honor her sister's desperate request and care for the lost, scared Lucy, she fears that Nora may have gotten involved in something way over her head—something that will threaten them all. But Quinn's worries are nothing compared to the firestorm that Nora is facing. It's a matter of life and death, of family and freedom, and ultimately, about the lengths a woman will go to protect the ones she loves.